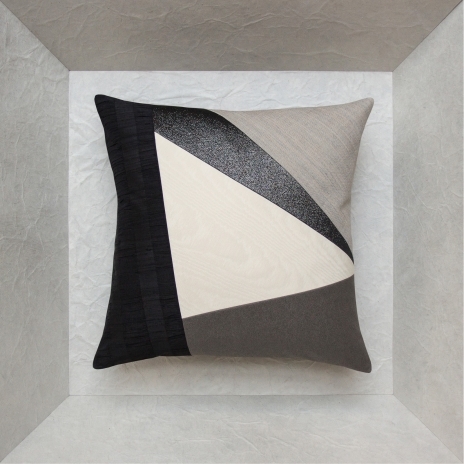 Sérénité offers you a colorful ambiance based on combinations of grey, natural and black fabrics assembled in modern, innovative designs that add contrast with their sharp geometric shapes. 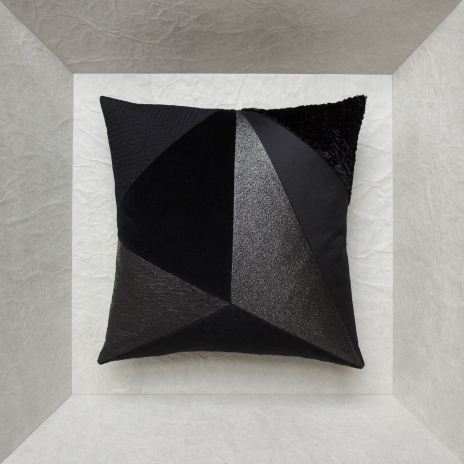 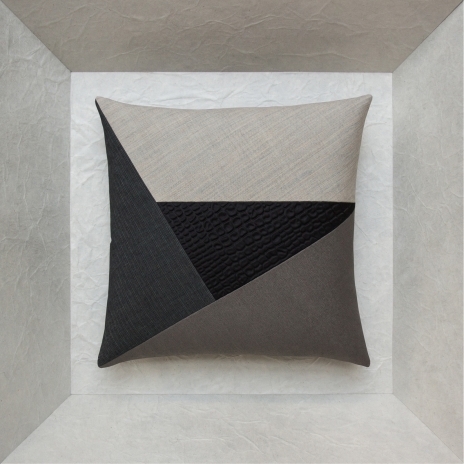 This original concept for high-end cushions emphasizes fabrics in a more minimalist approach to interior design. 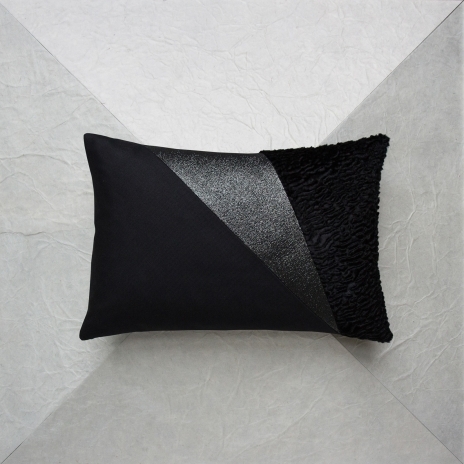 Non-ostentatious, subtle luxury. 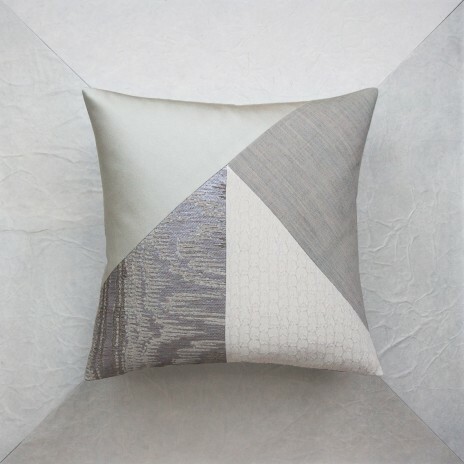 The unity of shades enhances the weaves and specificities of each fabric. 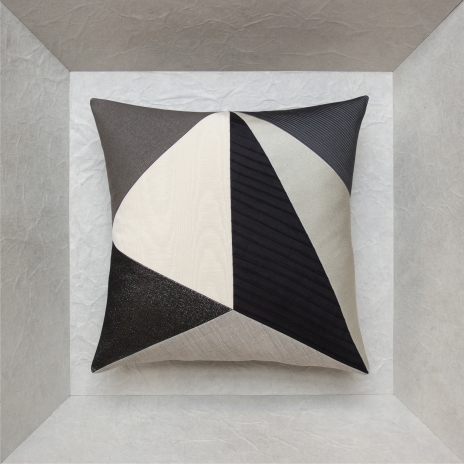 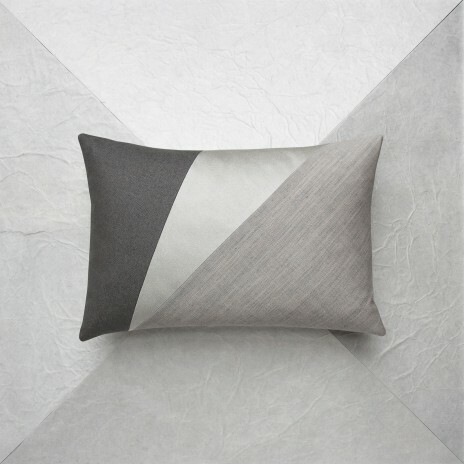 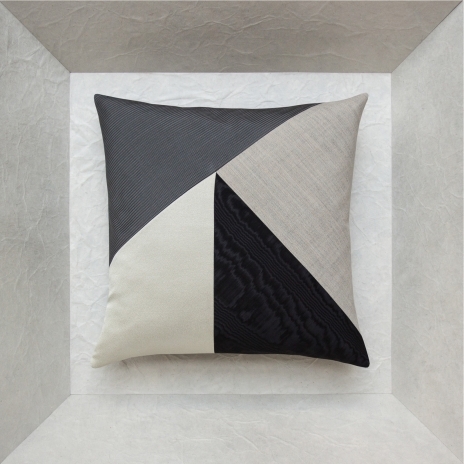 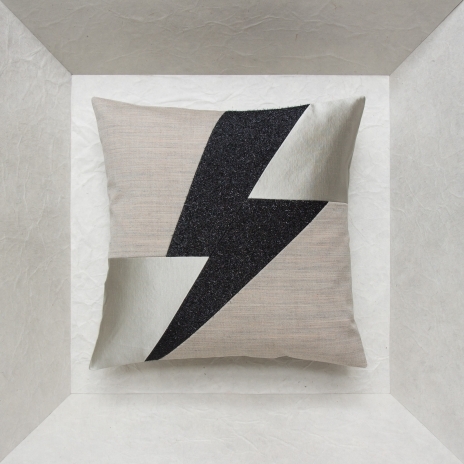 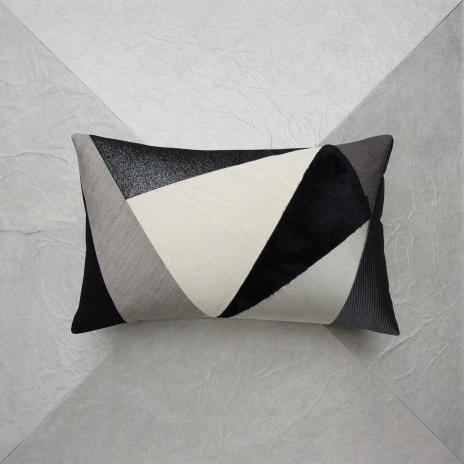 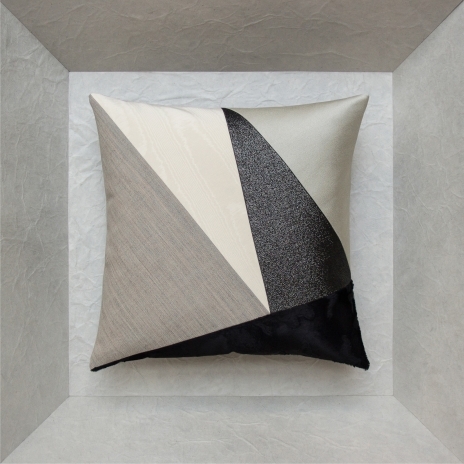 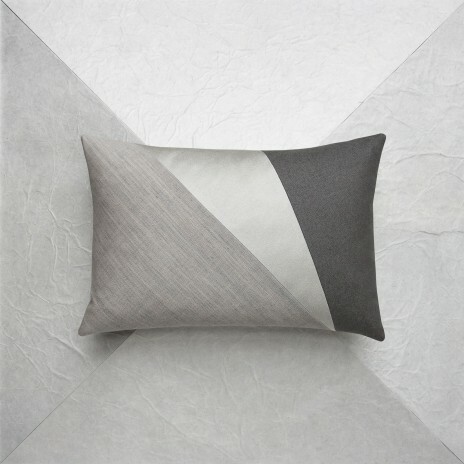 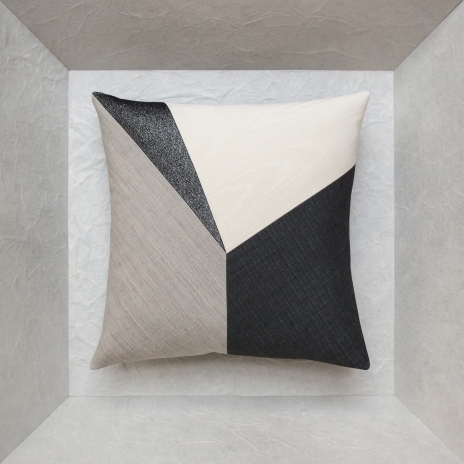 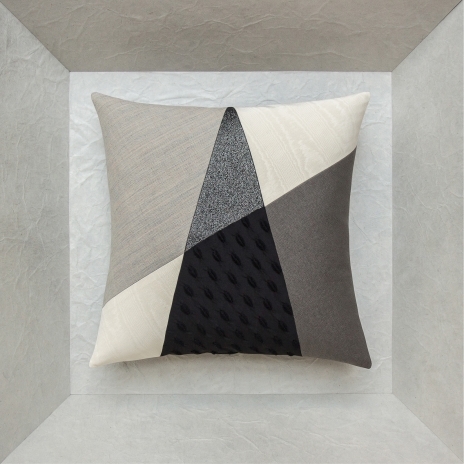 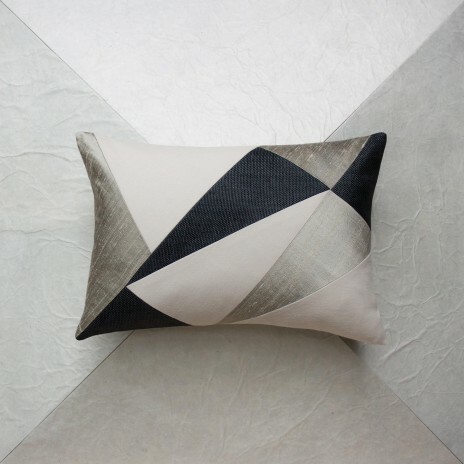 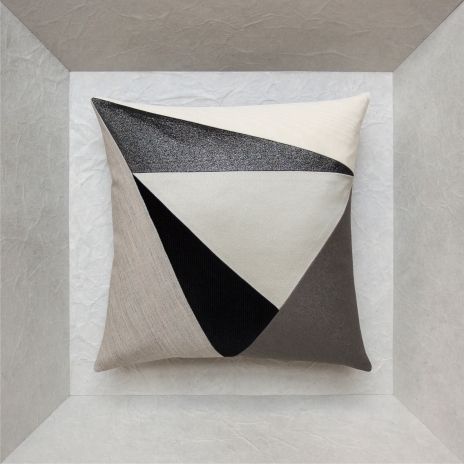 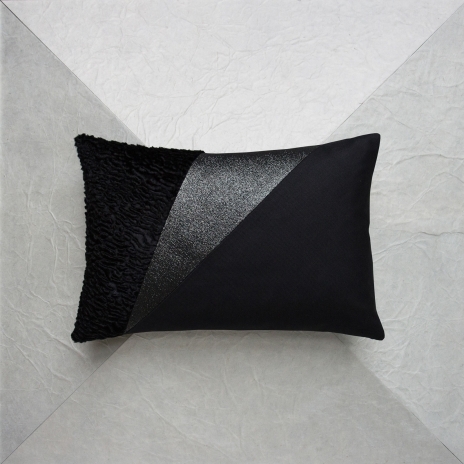 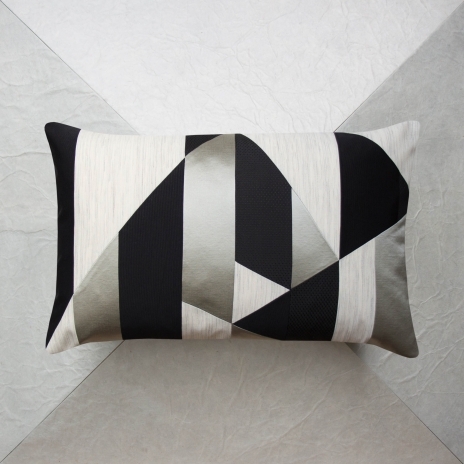 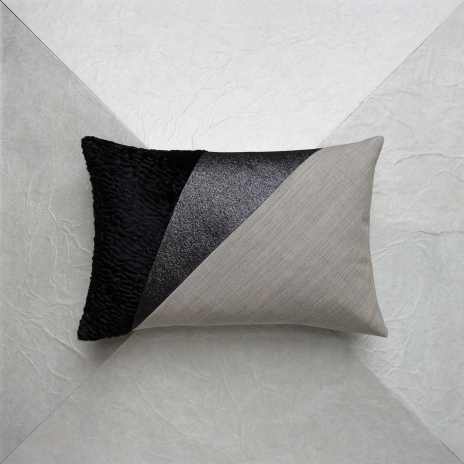 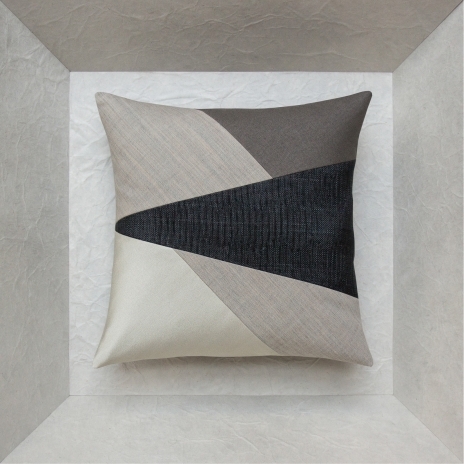 The subtle combination of fabrics enhances contrasts, giving each designer cushion a surprisingly modern, trendy touch. 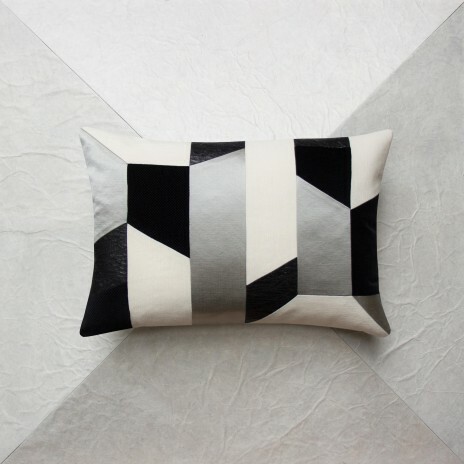 Each one of these trendy black and white cushions will add a soothing elegance to your interior, in an elegant, peaceful ambiance. 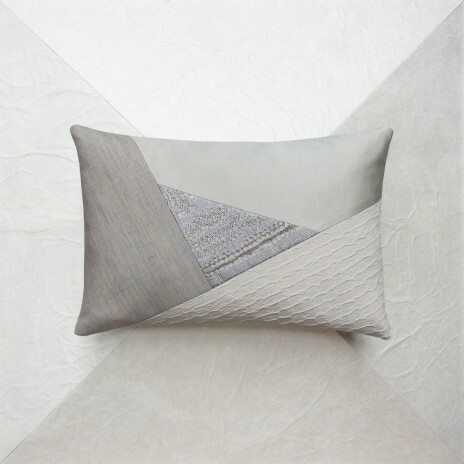 Their neutral look also permits tasteful combinations with other surrounding colors. 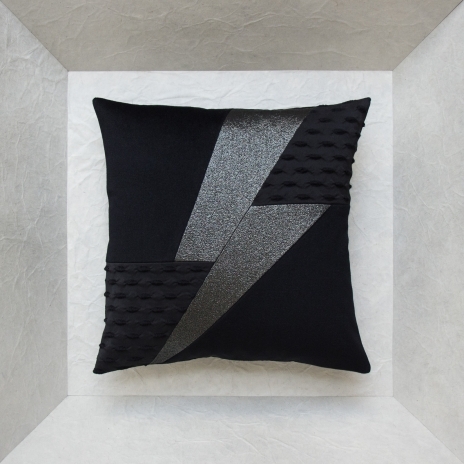 Go ahead, judge them by their appearance.